You are here: Member pages » skirunner » pictures » Dont get lost! 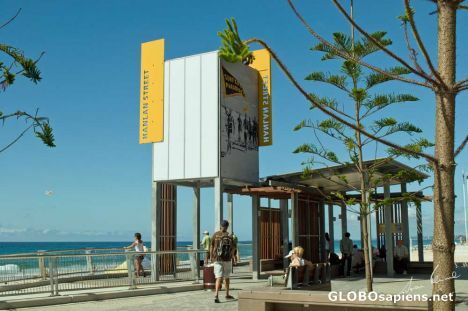 A wonderful idea on the new Esplanade is this landmark that shows where beach goers leave the town to go down onto the sands. How often have you walked along the beach and wondered where it was you came down? No problem with such a marker!